Buckminster Homes specialise in developing property; their team boasts an impressive 120 years cumulative experience in the industry and by working closely with expert teams of designers, architects and planners Buckminster pride themselves on transforming old Brownfield sites into desirable places to live. A recent such development at Ashley Gate, Walton on Thames has proved extremely successful with 100% being reserved off plan within seven days of release. Demonstrating the demand for high quality, well designed and realistically priced new‐build developments. 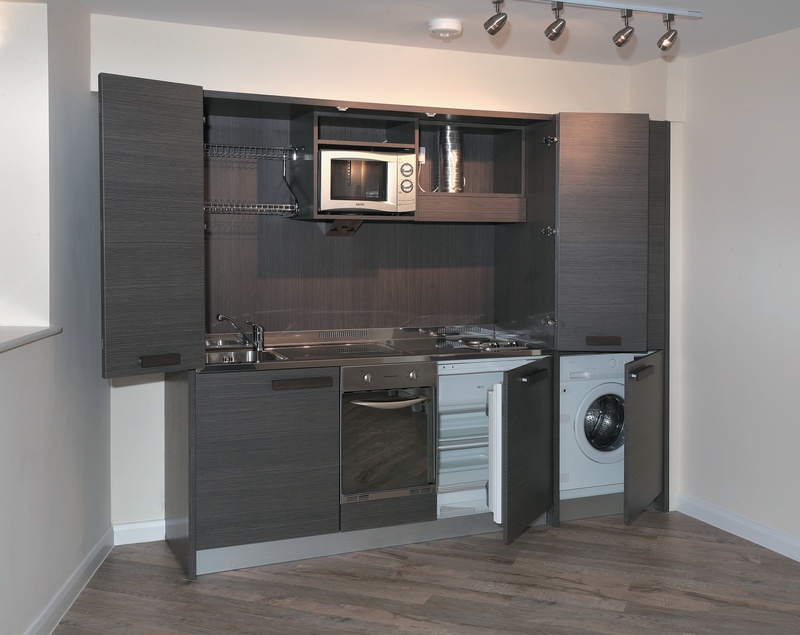 Ashley Gate is a luxurious and stylish development comprising of six versatile studio units and three one bedroom apartments. 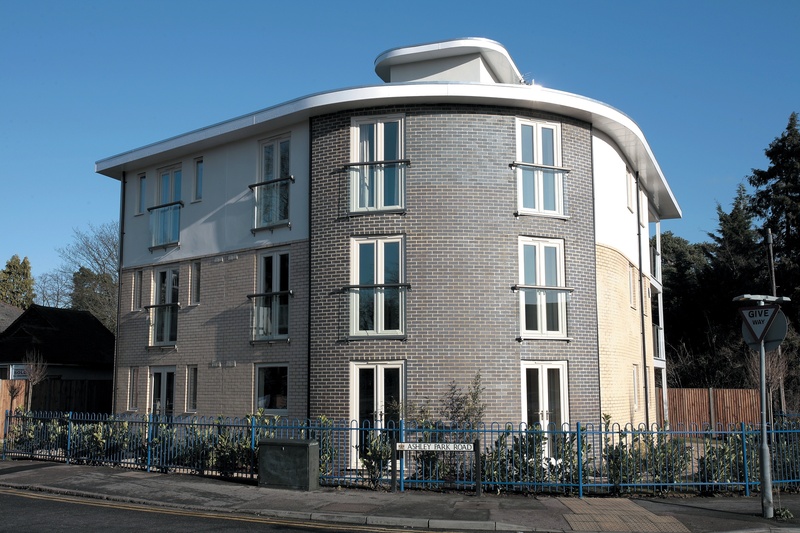 This beautifully bold architectural statement, with a sweeping curved façade in a contemporary take on the Art Deco style, further compliments the prominent corner location. 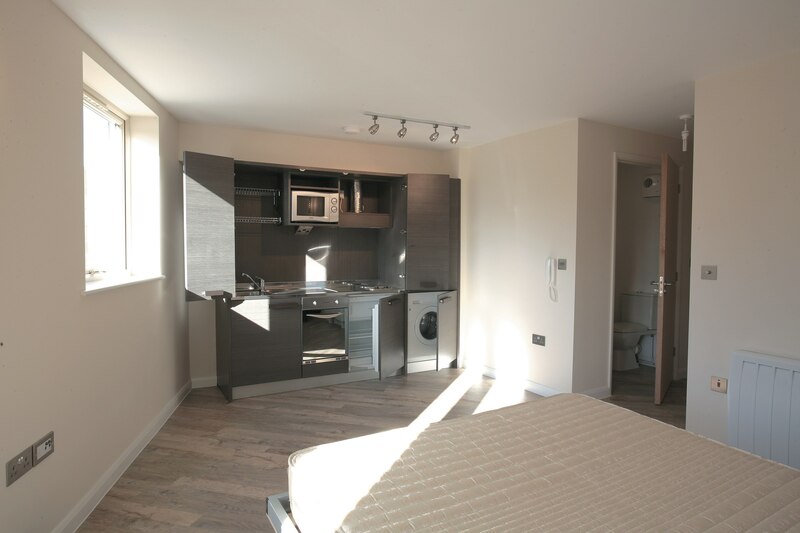 The studios feature the practical yet stylish Italian Designer Hideaway kitchen and the cleverly designed Smartbed, which is a sofa and a bed, without being a sofa bed! 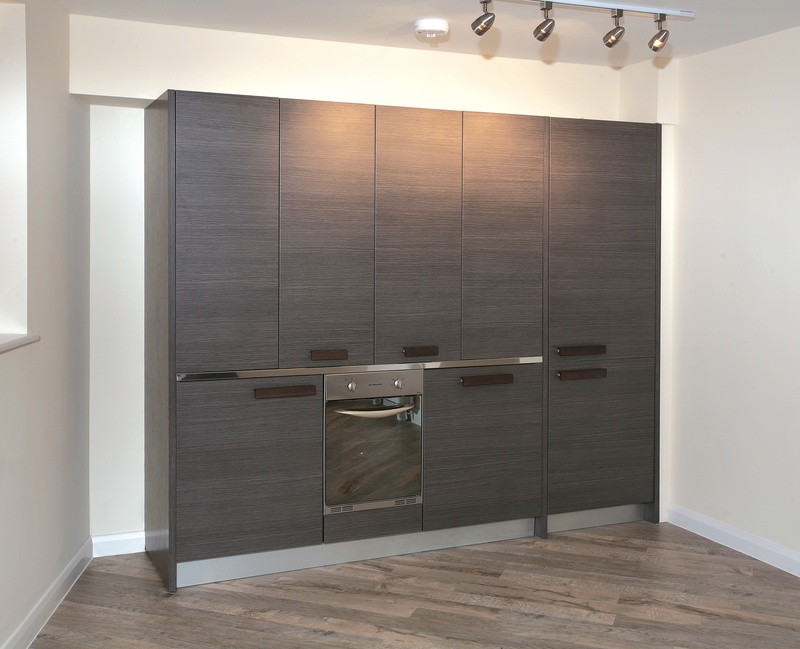 John Strand Ltd. worked closely with Buckminster Homes to maximise the studio space and select products that would appeal to the target market of young professionals.